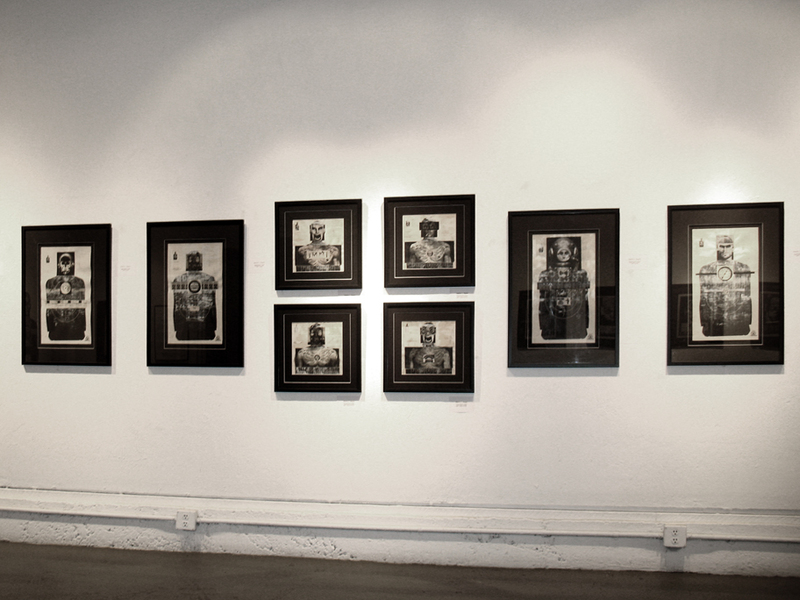 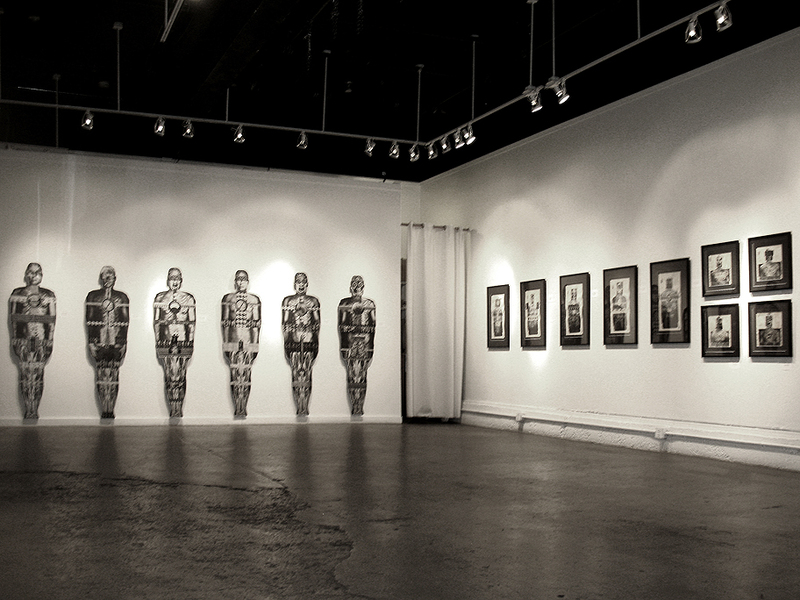 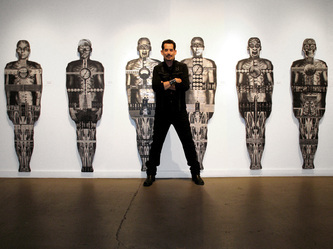 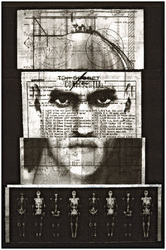 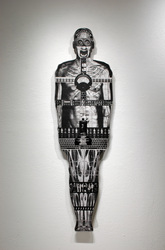 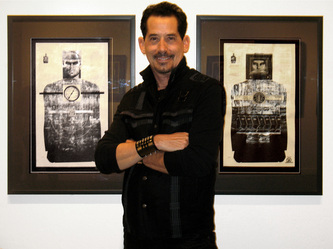 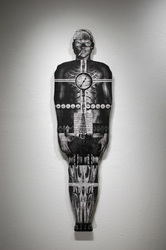 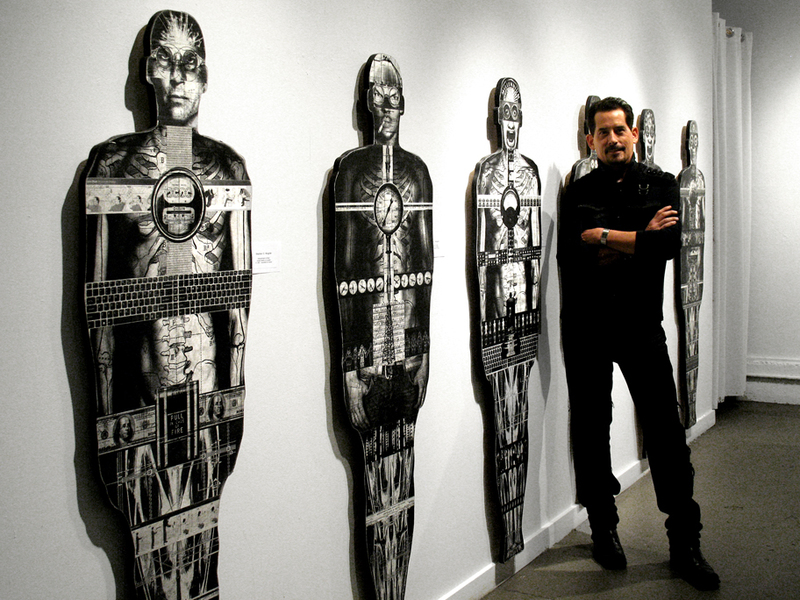 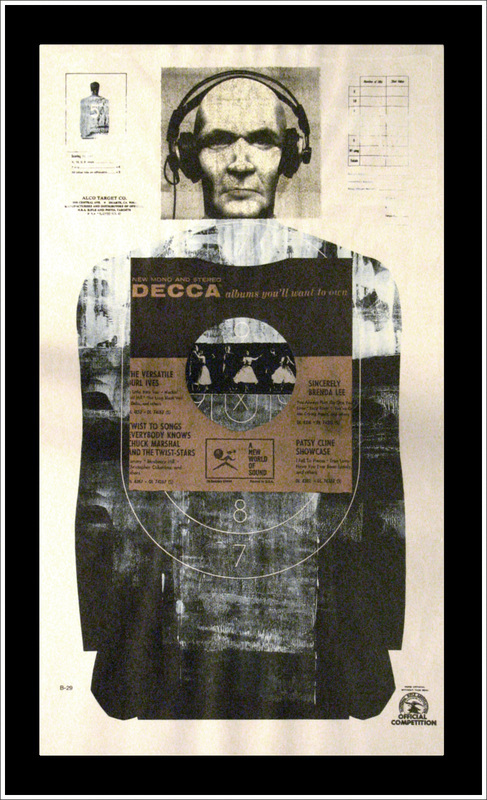 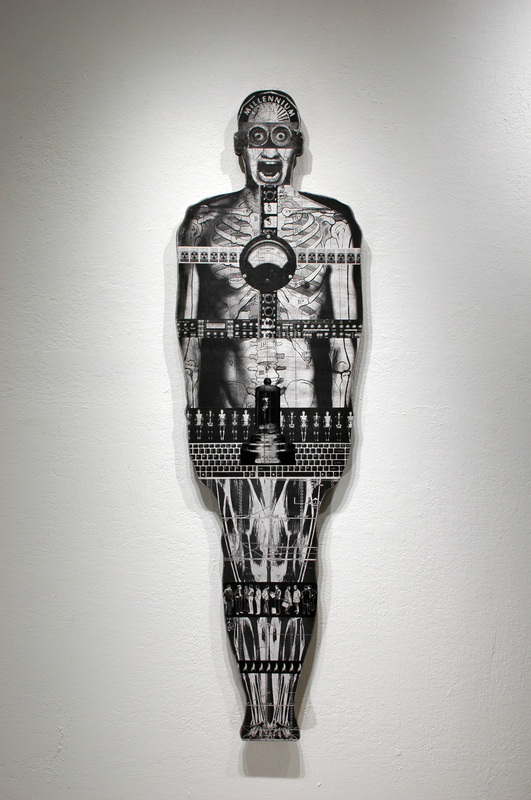 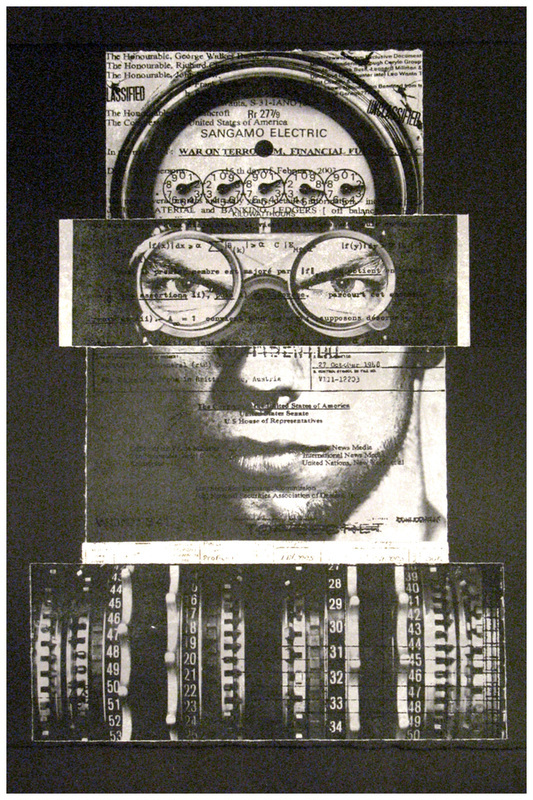 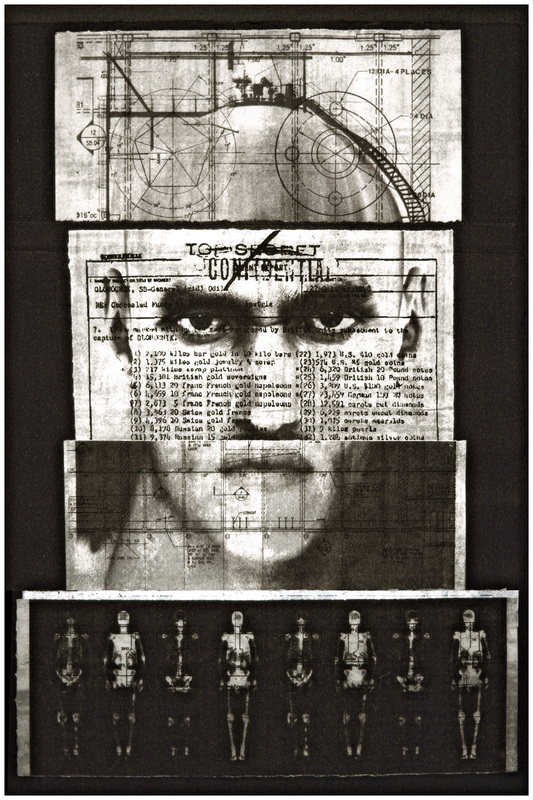 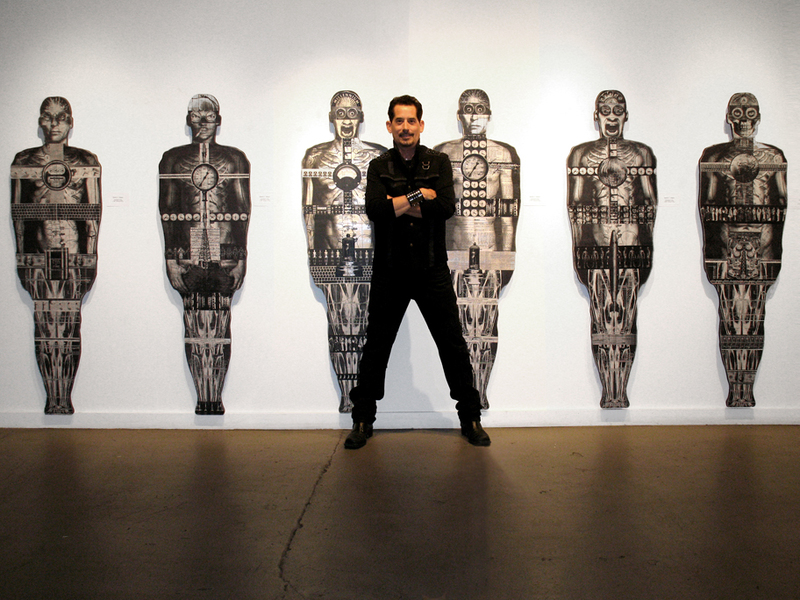 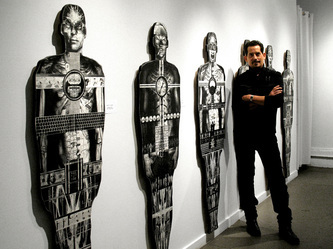 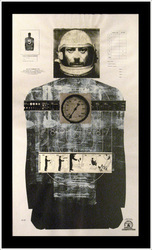 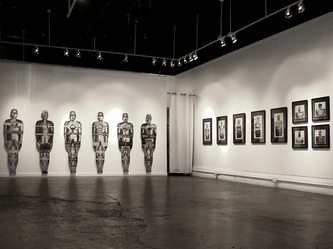 “The Embodiment of Man” exhibition consists of mixed media portraits configured of imagery from this threatening world. 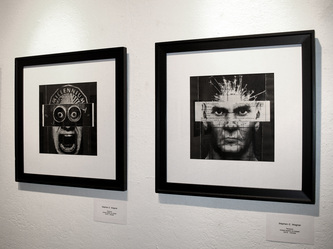 These “persons” exhibit intense facial expressions of fear, anger, shock, amazement, frustration, consternation, disbelief, weariness, caution, or numbness. 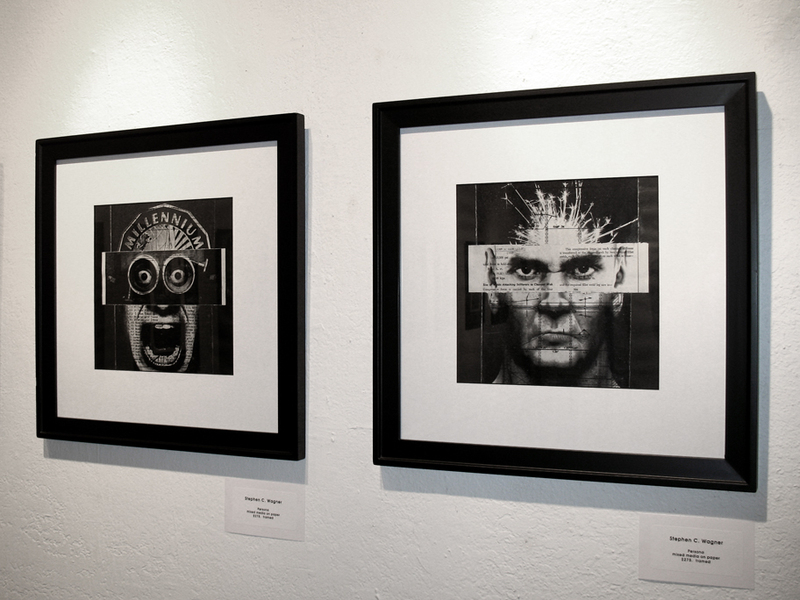 Many are screaming and yelling in reaction to the surrounding world. 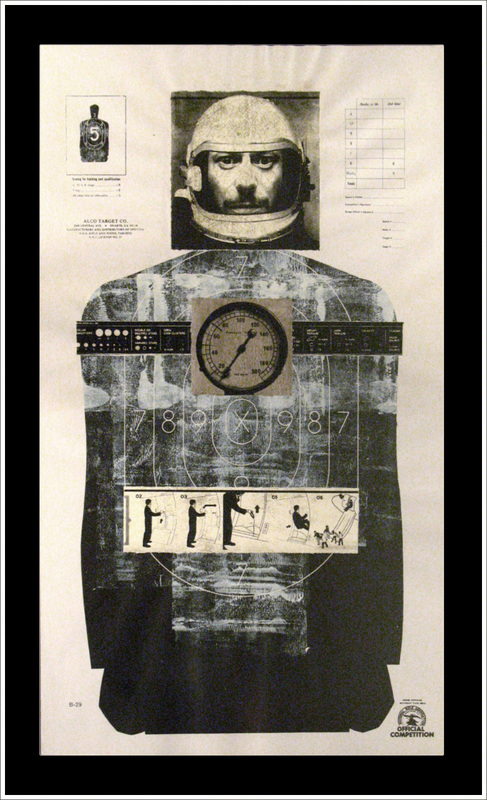 Many are wearing masks, goggles, visors, or helmets, symbolizing the separation and isolation they must create to protect themselves and endure this bombardment of the world out-of-control.